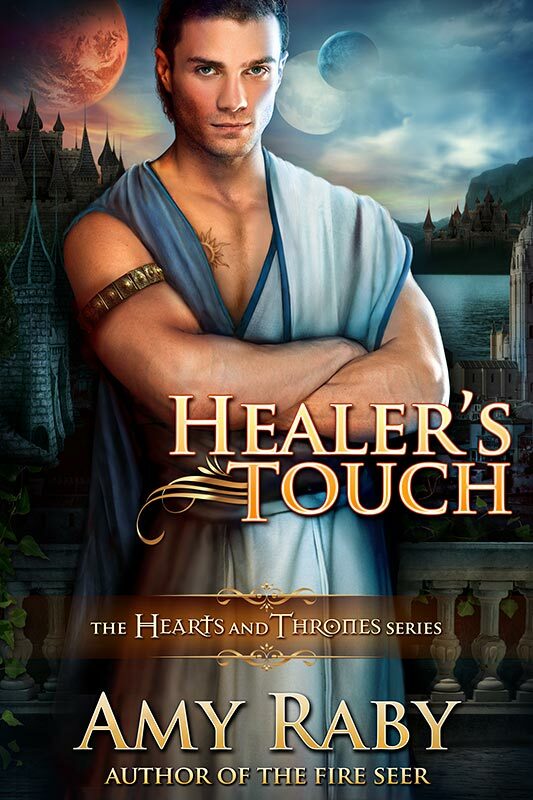 It’s here, the cover for Healer’s Touch! I love how this one turned out. This book will be out in late November. As to who the guy is on the cover, all I can tell you right now is that his name is Marius and you haven’t met him yet. But I’ll be posting the opening chapter here soon. 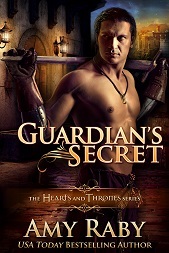 This entry was posted in cover reveal, Hearts and Thrones series and tagged cover reveal, healer's touch, hearts and thrones, Marius. Bookmark the permalink. Wow! Your cover has me so torn! I think it looks great, but I usually enjoy covers of the girls in their pretty dresses. Oh well. Still can’t wait to read it! I know what you mean! I thought and hard about whether or not to break the pattern with this one. But given that Marius is the healer from the title, and it’s really more his book than the heroine’s, I figured I should put him on the cover. Love the cover, Amy! I think your decision to put Marius on it is a good one. I think it evokes the same feel as your other covers. Looking forward to hearing more about it. Best wishes! I’ve been trying to order this one for my library (already have the others in circulation), and I’m still not seeing it listed with our book jobber (they had your other Hearts and Thrones readily available) – is it self-published, or still through Signet? We’re using Baker&Taylor if that helps you to know. Thank you, and good luck with your upcoming mysteries! Thanks so much! This one is self-published. It should be available through CreateSpace and expanded distribution, probably in December.